Sergi Pizarro is Senior Accountant and Junior Tax Advisor at AMSEL ASSESSORS SL, an accountancy, tax, and management consultancy firm for small and medium enterprises. 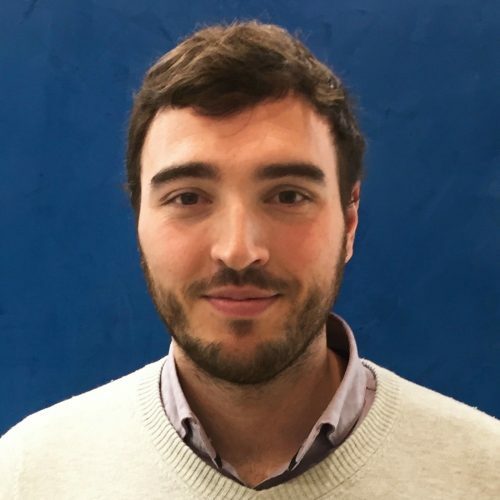 Sergi Pizarro is a Master in Tax Advisory from Barcelona School of Management (BSM) and Pompeu Fabra University (UPF) and a Bachelor in Economics (University of Barcelona). Since 2010 he is working in business analysis, accountancy, and tax advisory. Sergi is member of the Catalan Economist Association (CEC) and member of the Association for Management Accountancy (ACCID). Since 2016 he serves as a Senior Accountant at AMSEL, implementing the IBCS® Standards in the board reports of Spanish companies. Also, he is working with the Business Intelligence team of a leading Italian pharmacy group (OTC) adopting the IBCS® Standards in their global reporting and also in their Spanish branch. 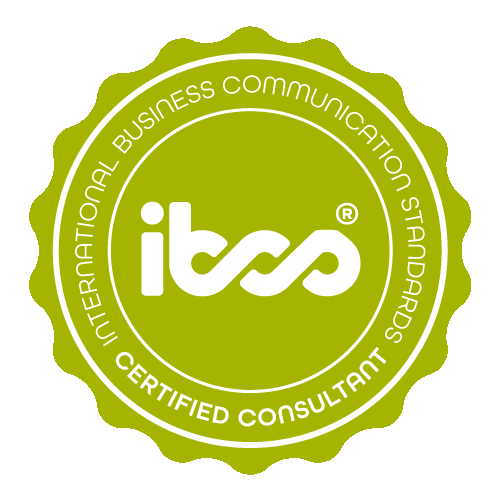 Sergi Pizarro has successfully completed the IBCS® certification for successful design of reports and presentations at the HICHERT+FAISST IBCS Institute in January 2018. All work samples are implemented using Excel and Zebra BI. All data is fake data. Income by publicity Actual data is compared with previous year and plan both monthly and YTD for 17 companies and the group total divided by two channels. 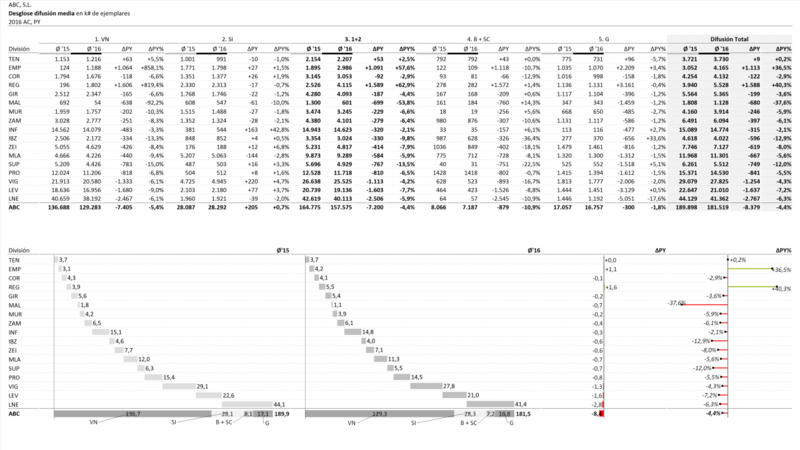 Bar charts visualize the variances. We have condensed three slides of the old reporting into a one page table. 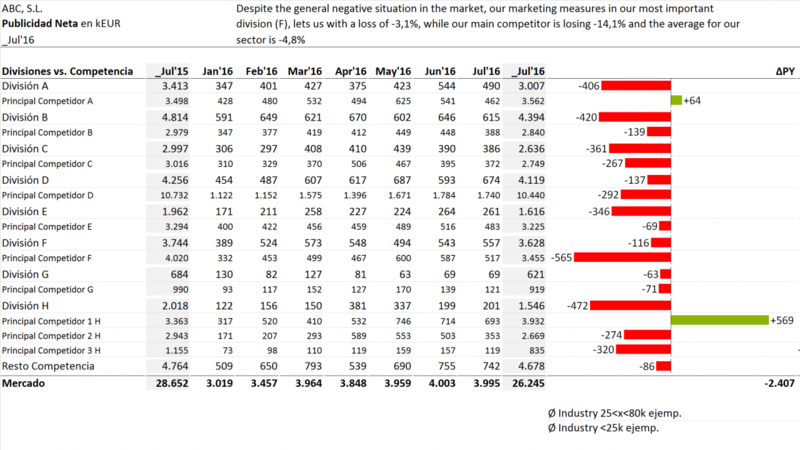 Net income compared to competitors In this sample the net income by publicity is compared against the main competitors and the market total. Also the average of the industry is shown to help comparing the performance against competitors. Contribution of divisions and channels to sales This sample shows the contribution of divisions and channels to the total sales of the company. 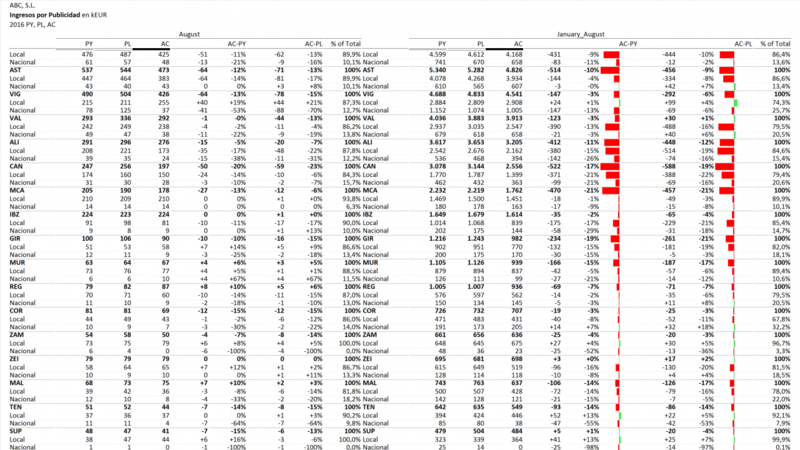 The table shows the details whereas the charts visualize the contributions and the variances to previous year.